The Keele Pain Recorder (KPR) is a mobile application (app) which was developed by patients for patients and their Health Care Professionals, to improve the management of pain. Led by Dr John Bedson, a Senior Lecturer at the Research Institute for Primary Care and Health Sciences and General Practitioner. Some things you can do to maintain independence, stay healthy and active at all ages – the five key areas of health: physical wellbeing, mental wellbeing; healthy eating; vitamin D; and sleep. 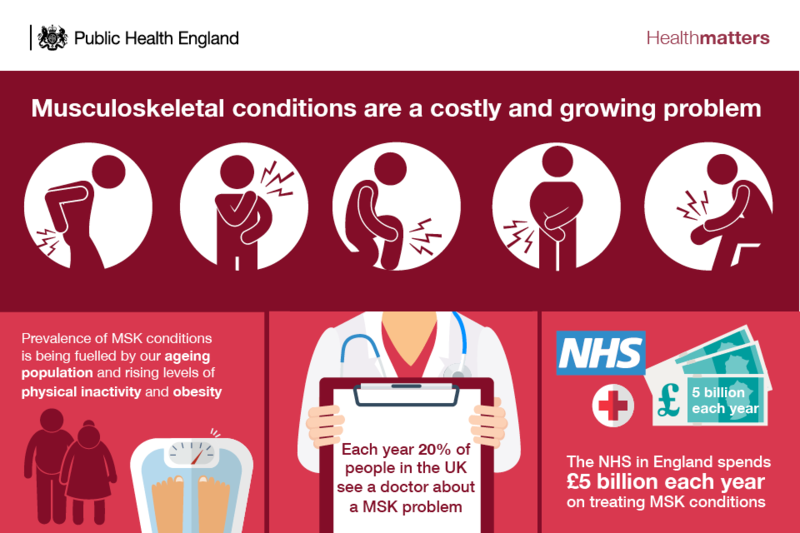 NICE guidelines recommend people with osteoarthritis receive information and advice about self-management, exercise and weight control. Unfortunately, few people receive these interventions. ESCAPE-pain (Enabling Self-Management and Coping with Arthritic Pain using Exercise (www.escape-pain.org | @escape_pain) is a group-based, 6-week rehabilitation programme which combines exercise and education. Participants learn how to manage chronic joint pain and the interactions of the group are powerful in changing health beliefs and increasing physical activity. The Programme can also help people avoid/delay joint surgery. ESCAPE-pain is both clinically and cost effective and is endorsed by the British Society of Rheumatology and Royal Society of Public Health. ESCAPE-pain was adopted as a case study in NICE’s Quality, Innovation, Productivity and Prevention programme  and delivers the NICE core recommendations of exercise and education for the management of osteoarthritis. It is currently delivered at 27 sites across England including physiotherapy departments, community leisure centres and workplaces. osteoarthritis. 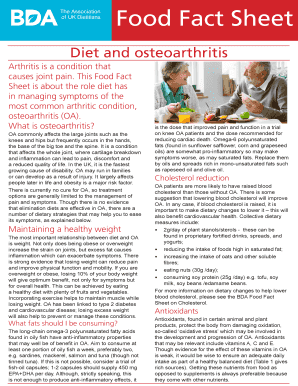 The document has been written by expert dietitains and is designed for use by healthcare professionals with their patients. All BDA Food Fact Sheets are Information Standard accredited. This shows that the information in the sheets is from a reliable source.